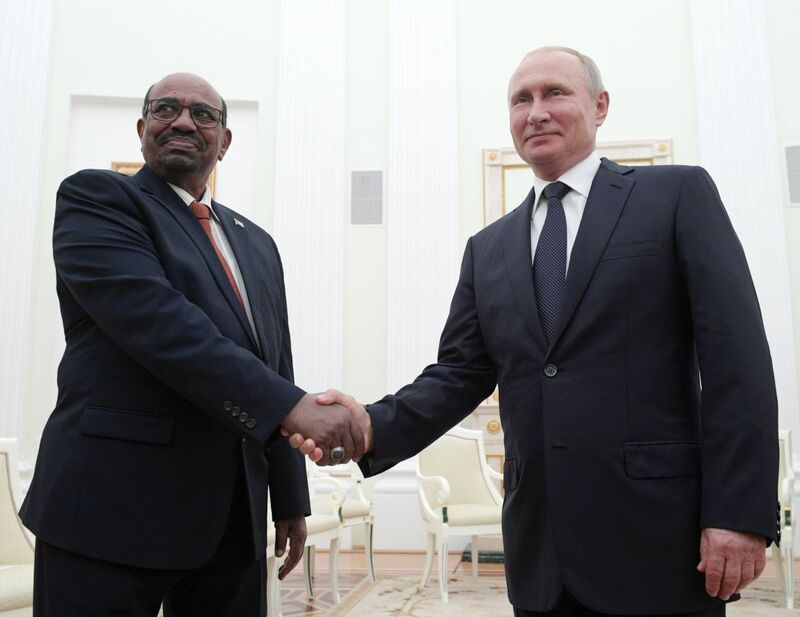 Sudanese president Umar al-Bashir at a friendly meeting with Russian president Vladimir Putin in November 2017. Concealed from the eyes of unwarranted observers, the issue of militants fighting for Russian interests abroad remained impenetrable for the general public until February 2018, when a group of Russian mercenaries known as the Wagner Group, fighting in Syria on the side of Bashar al-Assad, was decimated by allied air forces near Deir el-Zour. This opened a Pandora’s box, revealing unsavoury details of the Russian presence in Syria. Among these was an apparent connection between Russian private military companies (PMCs) and the Kremlin’s way of making foreign policy. In spite of serious human casualties suffered by the Wagner group (about 200 dead), it is absolutely clear that Russia will not refrain from using its PMCs as part of its “security export” strategy.2 After Ukraine and the Middle East, it appears that Africa is to become the next major playground. Despite proven ties with the siloviki faction, before 2013 PMCs were not the key instrument in “promoting” Russian interests abroad. This was changed by two events: the outbreak of the Syrian civil war (2011), which witnessed a series of heavy defeats by pro-Assad forces; and developments in Ukraine (especially from early 2014). Moscow, obsessed with competition with the West, felt compelled to interfere. However, unpleasant memories of Afghanistan (1979–89) and Chechnya (1994–6) deterred Russian elites from direct participation in either conflict (especially in Syria). The remedy was quickly found: Russia has plenty of middle-aged men with the necessary military experience, bereft of life prospects, craving for war and (most importantly) willing to die at a relatively modest price compared to their Western counterparts. Moreover, by sending mercenaries abroad Moscow could simultaneously enjoy the luxury of plausible deniability—a combination of de facto participation in a conflict and “we are not there” type of rhetoric—without any accountability whatsoever. With Ukraine becoming a test ground (in effect, the Wagner group was formed and conducted its first operations there), Russian PMCs, better equipped and stuffed with higher-quality professionals, flourished in Syria, where they were said to have formed the vanguard of offensive military operations on several major occasions. Aside from war per se, PMCs were employed as a tool of the so-called “power economy”, a state-controlled system of coercion (including a reliance on limited-scale military conflicts, if necessary) aimed at realising economic goals,3 which was reflected in seizures of oil-and-gas fields and infrastructure. The Soviet Union’s over-ideologised foreign policy viewed Africa as part of the ideological battlefield with the West. To buy the support and loyalty of local elites, the Kremlin would sacrifice enormous resources, usually in vain. After 1991, Africa virtually disappeared from the Russian political agenda owing to mounting economic and political setbacks. The situation began to change in the mid-2000s, when Russia started to revise its Africa policy. Unlike the Soviet Union, the new strategy prioritised economic benefits over ideological dogma. This was reflected in economic expansion (via Rusal, Alrosa, Lukoil and Gazprom), closer political ties and the revival of military cooperation. This integrated strategy led to a 185% increase in Russian FDI in Africa between 2005 and 2015.5 The key area of Russian interest is in mining, given Africa’s vast deposits of gold, diamonds and uranium. For instance, Sudan (one of Russia’s main targets) was the third-largest gold extractor in Africa in 2016 (around 90 tonnes, although Chinese sources claim the figure to be much higher).6 Between 2015 and 2018, Russia concluded or renewed a number of essential agreements with African countries pertaining to military-technical cooperation, where particular interest in Russian-made arms and munitions was expressed by Sudan, the Central African Republic (CAR), Mozambique and the Democratic Republic of Congo. This is, however, a two-stage policy: cooperation agreements and closer political dialogue with legitimate regimes is in effect a deal with rulers guilty of horrible crimes including genocide and ethnic cleansing, state-sponsored crime and terrorism. Russia’s new regional ally, Sudanese president Omar al-Bashir, has built a reputation as a ruthless tyrant and a leader who gave his full support to Al-Qaeda (1991–6), harbouring its leader Osama bin Laden. During their meeting in November 2017, al-Bashir, using anti-Western sentiments, encouraged Vladimir Putin to use Sudan in order to “open the door to Africa” and “save Africa from the United States”, offering the Russian leader exclusive rights in his country.7 Russia’s political leadership, military and oligarchic circles seem to have liked the offer. From their side, unstable and highly corrupt African dictators clinging to power need Russia too: banned from the global arms market and fearful of their own populations, they desperately need weapons and military expertise to be able to crush any public discontent—elements that Russia is capable of providing. That said, it should not be forgotten that—unlike several Western countries—the perception of Russia in Africa is not tainted with unpleasant memories of colonialism and racial oppression. Certain parts of the African elite viewed the Soviet Union as an advocate for and sponsor of anti-colonial liberation movements (in the 1980s Africa accounted for 18% of Soviet international economic cooperation). The process of decolonisation and the series of civil wars that ravaged Africa during the 1960–80s earned the continent the unpleasant nickname of the “motherland” of PMCs and modern mercenaries. This new information could have a number of important implications. First, Russia has entered a pool of players in the African PMC market, and its role will continue to increase. This stems from a huge pool of available human resources, and the number of regional conflicts in which Russian mercenaries are taking part and gaining vital experience and fighting skills. Furthermore, judging by the way they are organised and the functions they perform, Russian PMCs are much closer to private military armies (PMAs) than classic PMCs in the Western understanding of the term.13 Second, given the potential relative cost and fighting skills of Russian mercenaries (quality-price balance), African leaders are likely to be willing to employ them on a larger scale. On top of this, unlike other partners the Russian side is eager not only to send mercenaries, but also to expand technical-military cooperation with African countries using members of PMCs acting as military instructors. Third, a nascent division of responsibilities between Russian PMCs draws on the fact that Russia is building relatively sophisticated command-and-control (C2) structures, with PMCs steadily becoming a tool of “asymmetric response”. Lastly, the activities of Russian PMCs in Africa shed more light on the general model of cooperation between the Russian Federation and selected African countries: in exchange for the protection of dictators and training rendered to their armed forces, Russia is likely to be granted concessions for the extraction of natural resources and projects in other domains. 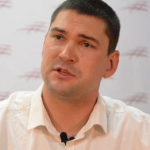 3 Pavel Shashkin, “Politicheskie aspekty naemnichestva,” Gumanitarnye nauki. Vestnik Finansovogo Universiteta, no.5 (29) (2017): 47–55. cyberleninka.ru/article/n/politicheskie-aspekty-na….